HER Commercial Real Estate Services is a full service real estate brokerage and property management company. The original real estate firms comprising HER Commercial Real Estate Services were founded in 1976, which has now grown into one of the largest commercial real estate and property management firms in the Central Ohio area. HER Commercial Real Estate Services is capable of handling a wide spectrum of commercial property types including office, warehouse, industrial, retail and apartment complexes. From high-rise office buildings to in-line centers to small suburban office buildings, we can provide you with a quality range of services. 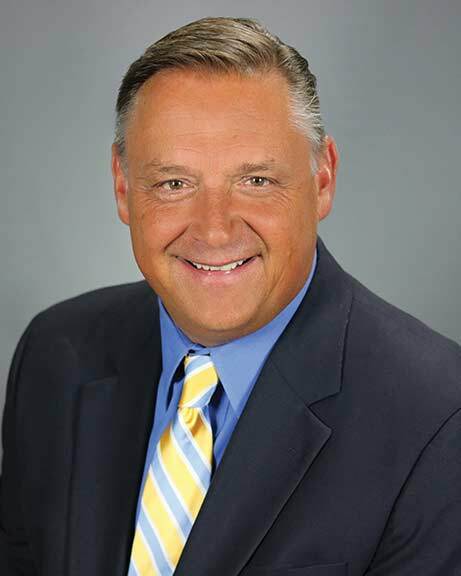 Greg J. Hrabcak, CCIM started his career with Group One Realty in a full time capacity upon graduating from The Ohio State University in 1984. Greg has been involved in the sale and leasing of Commercial, Industrial, Investment, Retail, & Office real estate, as well as Business Brokerage sales throughout Central Ohio. Companies that have been represented in these capacities include the Kroger Company, Inland Real Estate Growth Fund, Textron Financial Services, United Parcel Services and Five Guys Burgers and Fries just to name a few. In 2008 he served as the 100th president of the Columbus Board of Realtors. Greg served as the President of the Ohio Association of Realtors in 2015. Mr. Hrabcak is a past President of the Columbus, Commercial, Industrial & Investment Realtors (1993), the Ohio Business Brokers Association (1992), the Columbus Real Estate Exchangers (1994), and is the Federal Political Coordinator for the National Association of Realtors for Congressman Pat Tiberi (OH District 12). Greg has served as a National Association of Realtors Director since 2006, serves on Finance Commitee and serve as 2018 Vice Chair of the Reserves Investment Advisory Board. Professional awards received by Mr. Hrabcak include the Columbus Board of Realtors Salesperson of the Year (2012), the 2013 Columbus Board of Realtors/Business First “Largest Multi-family Transaction Award, amongst other Realtor Association Awards. Greg has taught real estate classes for the Columbus Board of Realtors, the Ohio Association of Realtors, the National Association of Realtors and for the Columbus State University. Mr. Hrabcak can be contacted at his office number of 614 – 888 – 3456 x 408 or on his cellular at 614 – 906 – 2227. Greg can aslo be reached via emial at greg@greghrabcak.com or greg.hrabcak@herrealtors.com.